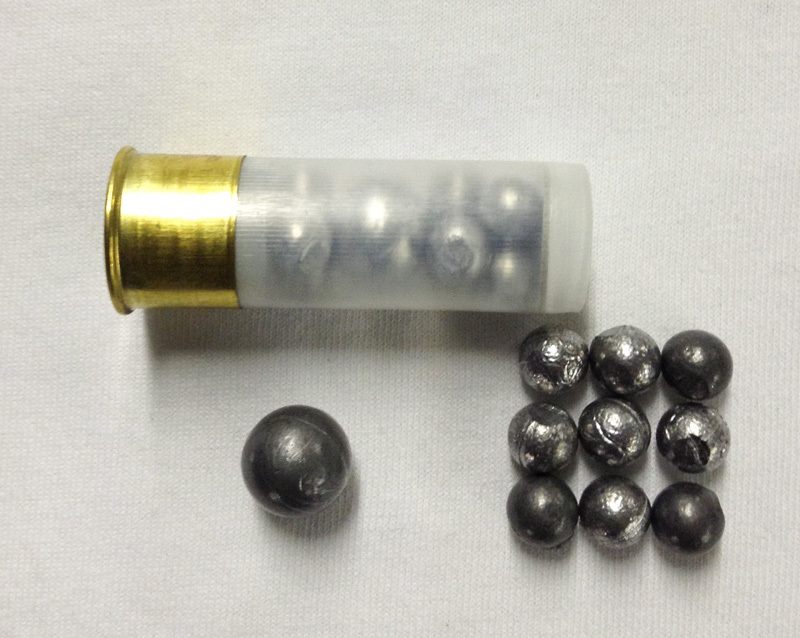 The Buck and Ball round is loaded with 9 00 Buck and a 58 caliber musket ball. This is a heavy hitting round with surpisingly light recoil. Good for close quarters - good penetration defense at 1400 fps.